This month, UAE-headquartered TIME Hotels Management will launch its first beach resort hotel in Egypt, TIME Nozha Aqua Park Hotel & Resort, a four-star property located in Ras Sudr, on the Red Sea coast. The official signing of the management agreement between Nozha Beach and TIME Hotels took place at Cairo Marriott Hotel on Thursday, October 18, 2018. TIME Nozha Aqua Park Hotel & Resort will feature 52 rooms, four suites and 14 chalets – with an additional 33 units to be added to the resort in 2019. 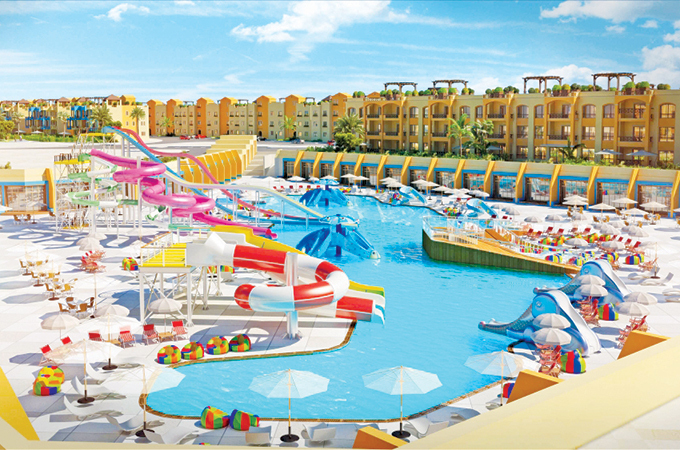 Located along a 945-metre stretch of white sand beach, the resort will feature the largest aqua entertainment complex in Ras Sudr, complete with various water slides, wave pools and water sport activities. TIME Nozha Aqua Park Hotel & Resort is located 20km from the new airport planned for Ras Sudr, 86 km from Abu Rudeis Airport and 165 km from Cairo International Airport. The resort will feature four food and beverage outlets, including a 24-hour all-day dining restaurant where guests can select from buffet and a la carte meals; an Aqua Park Café offering pizzas and burgers; a beach restaurant and a lobby lounge which will serve afternoon tea. The hotel offers guests a 24-hour fitness and leisure centre as well as a separate private pool for ladies and children with sauna, steam room, Jacuzzi and gym. The hotel will also offer two large and well-equipped conference rooms suitable for a range of different events. The 2,000 sqm banquet facility, fitted with dynamic and flexible audio systems, can host up to 800 guests making it the ideal venue for large gatherings such as weddings. According to Colliers International, Egypt’s tourism industry recorded a strong performance in 2017, welcoming 7.2 million visitors, predominately from Saudi Arabia and the rest of the GGC, after many years of muted growth. Russia, as well as Europe, have been long-standing major source markets for resorts located on the Red Sea coast. The expected resurgence in visitors from these locations will see both leisure and corporate travel in Egypt increase over the coming years.